Landowners with hilly pastures hold treasures of our ecological diversity on their farms, and can protect this threatened ecosystem through management. When European settlers arrived in Iowa, much of the prairie ecosystem was plowed under to produce agricultural crops. 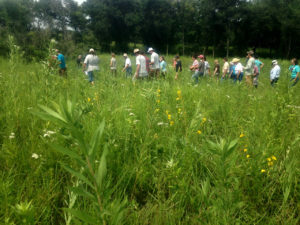 However, the settlers also recognized that the native grasses and legumes provided high quality forage for livestock. Cattle were often set out in hilly prairie pastures, and allowed to freely roam and browse the large tracts of land. Unlike the roaming herds of native herbivores (elk, deer, and bison), the cattle would return again and again to their favorite forages and eat them down to the ground, eventually killing the native grasses and legumes. Farmers replaced them with European cool season grasses and clovers, which were more tolerant of the abuses of continuous grazing (rotational grazing was not yet commonly practiced). Native prairie flowers were usually identified as weeds, since they were not grazed by the cattle. When chemical herbicides became available in the 1940s and 50s, many farmers were careful to remove these “weeds” from their pastures. 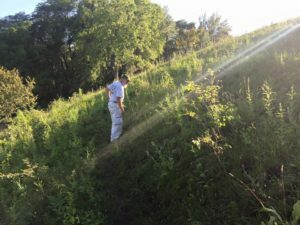 Botanist Dr. Thomas Rosburg identifies native species in a central Iowa pasture prairie remnant. Europeans were remarkably successful in eradicating our wild landscape, wiping out 99.99% of diverse native tallgrass prairie with the tools of the plow, unmanaged grazing, and herbicide. Historical records from the turn of the 20th century note that pastures contained 25 native grasses and 10 native legume species that were valued as high quality forage (Pammel 1901). In 1926, 42 native, perennial wildflowers remained in pastures, documented as “weeds” (Pammel and King). Continuous grazing and herbicides took a toll on native pasture plants. By 1993, the number of native plants in Iowa pastures had steeply declined, as shown in a study by Dr. Thomas Rosburg who found just 6 native grasses and 9 native forbs in the southern Iowa pastures he investigated. Leadplant (Amorpha canescens) is an indicator of a high quality prairie remnant. The estimated .01% of Iowa’s prairie that remains is comprised not just of public land preserves, but also small remnants that remain in pastures and odd-shaped pieces of land that were never considered useful for agricultural production. 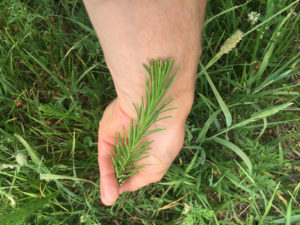 If you’ve ever seen a native wildflower, or the tall stalk of a native grass poking up in a pasture, or the corner of your acreage, you may be the steward of a rare fragment of a nearly lost ecosystem. What should you do, if you have discovered a remnant on your land? This depends on the location and type of remnant. An ecosystem professional could suggest the best steps to take for the specific characteristics and location of your prairie. Participants in a Practical Farmers of Iowa field day at the DeCook Ranch. There, pastures have been interseeded with native prairie species, collected from a remnant prairie on their land. The downfall of prairie in pastures was not the presence of grazing, but rather the lack of carefully managed rotational grazing. So while cattle will need to be excluded during parts of the prairie restoration and maintenance process, the pasture can continue to be a source of forage for cattle. First, exclude cattle from the prairie portion of the pasture long enough to see what prairie plants re-appear. Then, allow the plants to grow up through the late summer and fall to grow enough fuel for a spring burn. Allow the plants to grow through the warm season to re-invigorate the warm season grasses. Carefully observe the prairie throughout the first five years and document the species present. Note: prairie ecologists now recommend burning only a portion of a remnant prairie at a time, to ensure that endangered prairie-dependent invertebrate species can survive each burn. This can be accomplished by burning half of a remnant one year, and the other half the following year. In the fall following burning, cattle can graze the prairie area for a short period of time, but make sure it is sufficiently brief that their hooves do not damage the roots of existing prairie plants. Following fall grazing and just in time for the fall freeze-thaw is a good time to scatter seed of missing prairie plants, which may enhance the diversity and stability of the remnant. Great legume species to add include tick trefoil, white/purple prairie clover, and prairie bush clover. 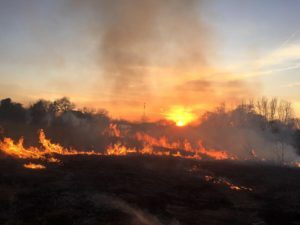 It is also a good idea to interseed native grasses such as big bluestem and indian grass for summer forage and fuel to carry restorative fire across the remnant. Note: Make sure to verify that the seeds you interseed are “local ecotype”. This means the plants will be adapted to the ecosystem of your specific region within your state. For example, if your remnant is located in central Iowa, it is very important to make sure that the seeds you will be interseeding were originally harvested in central Iowa, and that the prairie from which they were harvested is either a remnant, or was seeded from a source that is also in central Iowa. Prescribed fire is an important tool for enabling native prairie species to compete with non-native plants, and preventing woody vegetation from encroaching. If non-native grasses and clovers inhibit restoration they can be managed with strategic herbicide application, and/or hand weeding in addition to prescribed fire every few years. If shrubs are inhibiting the restoration, cut them in August, and then burn the remnant in mid-September. After the native warm season grasses have taken hold and regenerated their deep root system, they may prove to be an asset to your grazing system, as they can produce high quality forage in hotter, drier weather. You may even want to look into interseeding the remainder of your pastures with warm season native grasses. If you’ve discovered a corner of prairie on your acreage or farm, then maintenance and monitoring, rather than restoration may be sufficient. Keep woody species at bay by burning it every two to four years. When burning is not an option, mowing once in August or springtime will also help prevent trees and shrubs from taking hold. 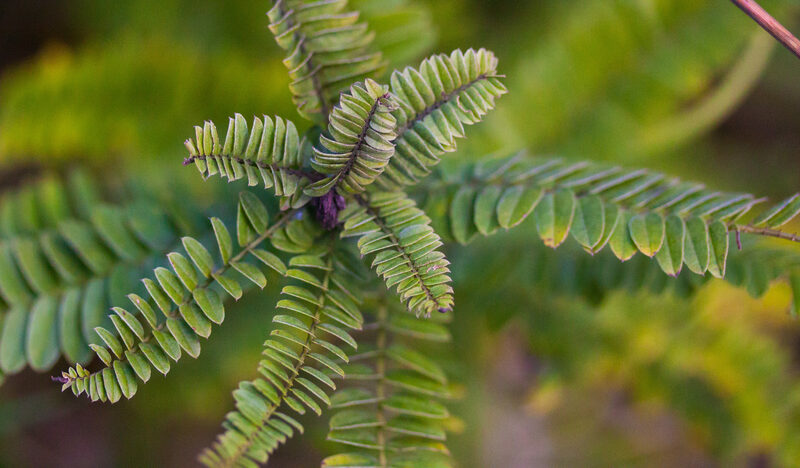 Record the species you observe, and remove any invasive species that begin to threaten the native plant community. Your rare native prairie remnant may be an incredibly valuable source of local ecotype seed and biota in the future. Whorled milkweed, a preferred species of milkweed for monarch butterfly larvae. Monarch adults feed on many species of flowers, but the larvae feed exclusively on milkweed. When cattle are temporarily excluded from a pasture, and prescribed fire lights up a hillside with prairie—where do these plants come from? Did this pop-up-prairie come from the soil seed bank, or from tiny plants that have been holding on, waiting for conditions to become more favorable? The answer depends largely on whether the land was originally a prairie or wetland. As noted by biologist Dr. Thomas Rosburg in Secrets of the Seed Bank: Tiny Clues to a Landscape’s Past and Future, the seeds of prairie plants do not remain viable for very many years in the soil. 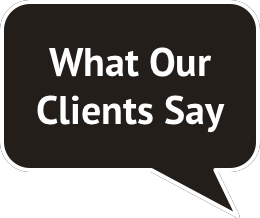 For example, Canada wild rye seeds can be expected to remain viable for just one year, and those of switchgrass–only three years. Rosburg notes, “The vast majority of prairie plants are perennial and rely on the underground growth of roots and rhizomes to maintain their presence”. Wetland plants, on the other hand, evolved to germinate in periods when the soil dries out, and so their seeds remain viable for many years. While conducting research in the 1980s, Tom Rosburg and Ann Akey discovered that “…wetlands drained for less than 20 years had a seed bank that contained viable seeds of many wetland species and are the best candidates for restoration – seed banks in these drained basins could provide a significant role in restoration”. So in wetland soils, native plants that appear may be from the soil seed bank, especially if soils have not been completely drained for very long. 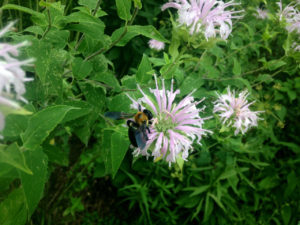 A bumblebee feeds on Wild Bergamot (Monarda fistulosa L.). When Iowa’s European settler farmers began grazing cattle in large, continuously grazed paddocks of native sod, the prairie was so expansive that most couldn’t imagine they were contributing to the near-extinction of Iowa’s foremost native ecosystem. 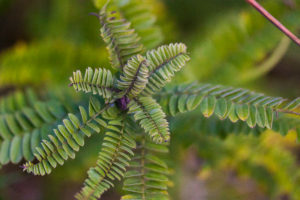 Prior conservation efforts have largely been focused on preserving our soil resource, but time is running out to save the fragments of our rare ecological resource, of which we are just beginning to comprehend the value. We cannot yet predict how these genetic reserves will be useful to future occupiers of the planet. Swift action is needed to preserve the local-ecotype plants, the soil biota, and complex web of organisms they support.